Oh those American vowels. 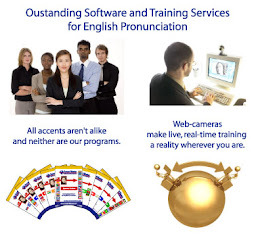 My clients at Accent Master tell me how challenging they are in our accent reduction classes. They are trouble. In fact is it takes 15 phonetic symbols to represent all of the vowels in American English. The trouble really begins when you realize that there are only 5 alphabetical symbols for those same vowels! In fact the most common vowel sound known as schwa and produced as "uh" is not represented by any of the alphabet letters. But it can be represented by almost any vowel letter. Knowing these facts alone can help you listen more carefully and imitate what you hear. /a/ or 'ah' can be written with a or o. A is produced as "aah"
e is produced as 'eh"
Writing and pronouncing do not match up in English. Listen to the TV or to a conversation with your eyes closed. Best is to read along while listening to a book, the newest Kindles have this feature which can be very helpful to English language learners. Good luck and post any questions you may have!